Canadian Daily Deals: Walmart Cyber Monday Sneak Peek Flyer! 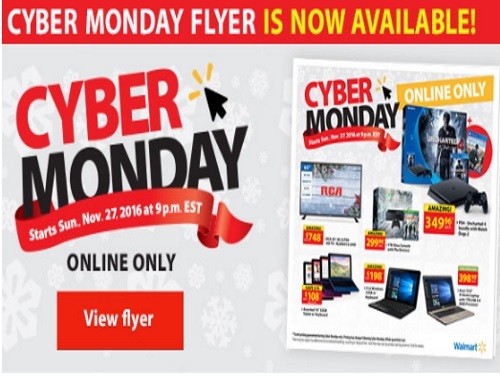 Walmart Cyber Monday Sneak Peek Flyer! Walmart's Black Friday has barely ended and you can now browse an early Sneak Peek of their Cyber Monday flyer! Offers start Sunday, November 27 at 9pm ET. Offers are valid online only.